1.25 oz. 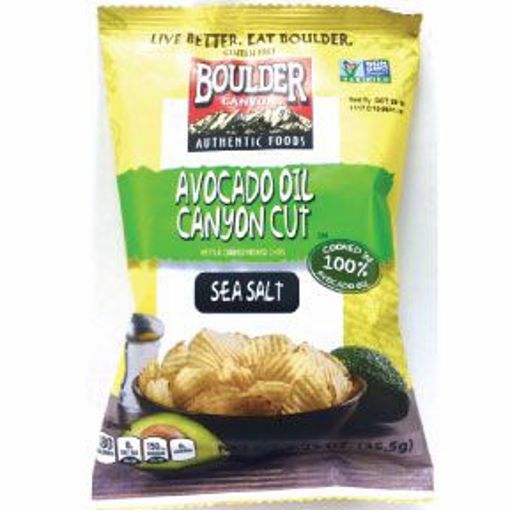 bag kettle cooked potato chips with avocado oil and sea salt. 1.25 oz. bag kettle cooked potato chips with avocado oil and sea salt. canyon cut. cooked in 100% avocado oil. certified gluten-free, non gmo. no msg. no trans fat. kosher. no cholesterol. vegan.